Mega Sale! 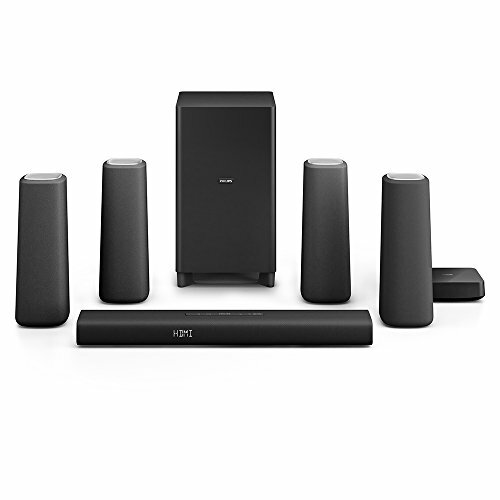 Save 26% on the Philips CSS5530B/37 Zenit Cinema Speakers (Black) by Philips at The Met Theatre. MPN: CSS5530B/37. Hurry! Limited time offer. Offer valid only while supplies last. Embrace pure simplicity with Philips Zenith cinema speakers and enjoy natural, balanced sound from a design featuring modern, authentic materials. Embrace pure simplicity with Philips Zenith cinema speakers and enjoy natural, balanced sound from a design featuring modern, authentic materials. Smart cable management and wireless rear speakers ensure an uncluttered, sublime experience.